Healthcare is exploding! Or at least it is a booming industry. The U.S. Bureau of Labor Statistics is estimating a 18% growth rate in healthcare occupations by 2026. This can mean over 2.4 million new jobs. Working in healthcare is a noble and rewarding career, but knowing which occupation offers you the best chance for a job is also rewarding. In today’s uncertain job market, it feels good to know you are heading for or in a career that promises you a steady paycheck and continual work. A demand for less expensive outpatient and home healthcare. The aging population wants to stay at home! When I say healthcare, you think hospital. Right? Hospitals are expensive facilities to run. When care is provided in the home there is more funding for…. you guessed it! Health professionals. Learning new skills and keeping yourself current on technology can leave you at the front of this fast-growing occupation. These 5 fast growing healthcare jobs are also part of the top 30 fastest growing jobs in the whole country. Physician Assistant and Nurse Practitioner roles are expected to grow by 39%. That’s a whole lot of new jobs! 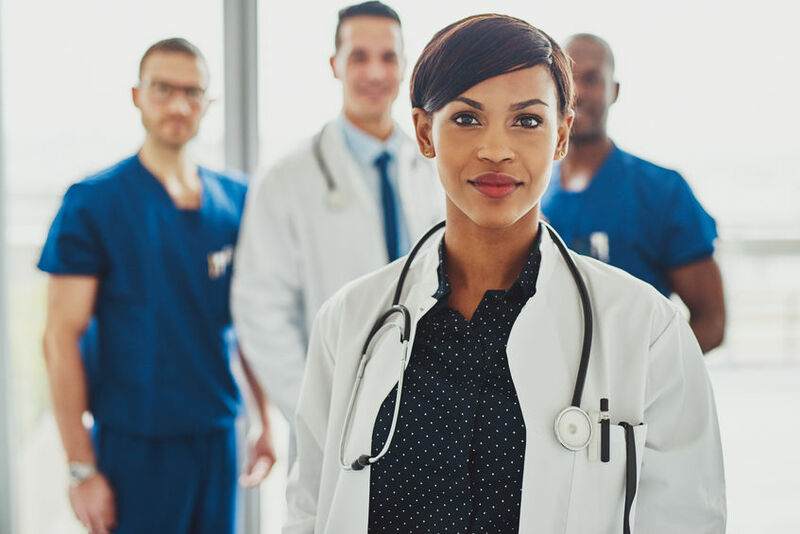 This role requires you to have a Master’s degree, and your role would be to coordinate patient care and work on the team with physicians, surgeons, and other healthcare workers. You would be examining, diagnosing, and treating patients. Also making an average salary of $101,480/year. Sounds good! Pharmacy Technicians can work both in facilities as well as in the community. There is an expected job growth of 32%. A pharmacy tech works alongside the pharmacist to prepare and dispense prescription medications to the patient or directly to the healthcare professionals providing hands on care. You don’t need years of education for this growing role. A high school diploma is enough. The average salary is $30,920 per year. Physical therapists work in community home settings or in facilities and have a projected job growth of 28%. Healthcare jobs that work in both home and facility settings have a higher demand. A physical therapist typically earns a doctorate degree in physical therapy. Your role is to help people who are injured or ill to improve their movement and decrease pain levels. This job is a vital part of the rehabilitation process for people with chronic conditions, illnesses, or injuries. You are looking at an average salary of $85,400. Surgical technicians do NOT work in community or home settings. Yet. Also known as operating room technicians, these valuable team players are the right hands of the surgeon. With the advancements in surgical procedures, there are more operations being done to treat now than in prior years. The job growth in this profession is projected at 24%. A surgical tech typically earns a postsecondary non-degree, an associate’s degree, or certificate. Then your days (or nights!) are spent preparing operating rooms, arranging equipment, and helping the surgeon as part of the surgical team. Every year you could be earning $45,160. Nobody is surprised that Registered Nurses are in high demand. There is a 22% job growth expected for this well-known profession. One of the biggest reasons is the extreme versatility of RNs. There are job openings in hospitals, physicians’ offices, home healthcare, long term care facilities, outpatient clinics, schools, and even the military. An RN’s role is to provide and coordinate patient care, educate patients and the public about health conditions, and offer advice and support to families and the patients. To start out on this career you will need either a bachelor’s degree in Nursing, an associate’s degree in Nursing, or in some states, a nursing diploma. The average paycheck is $68,450 per year. Any one of these 5 healthcare jobs holds a promising future with rapid job growth.